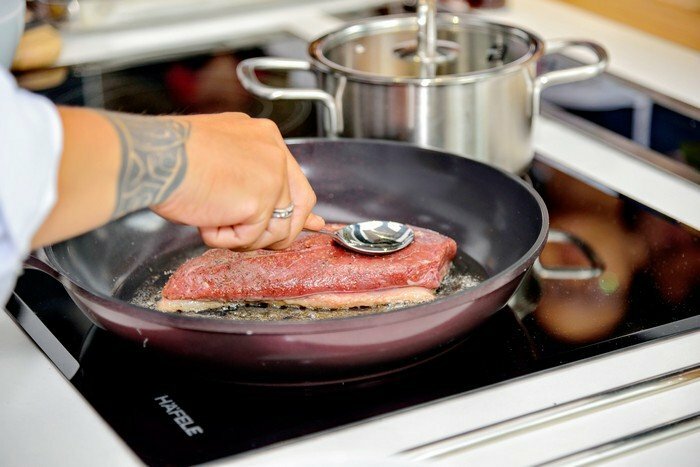 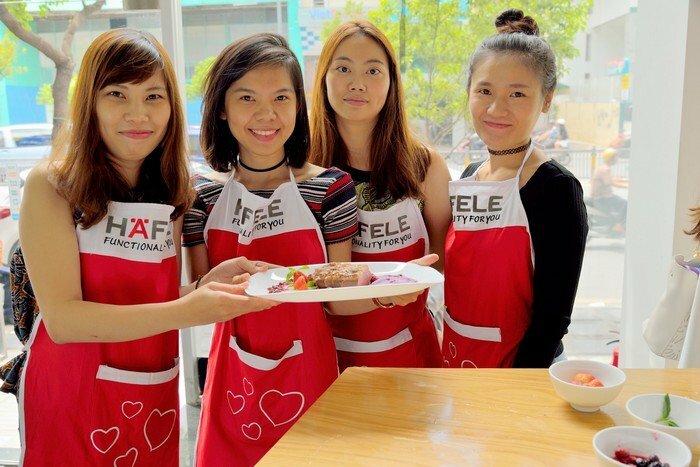 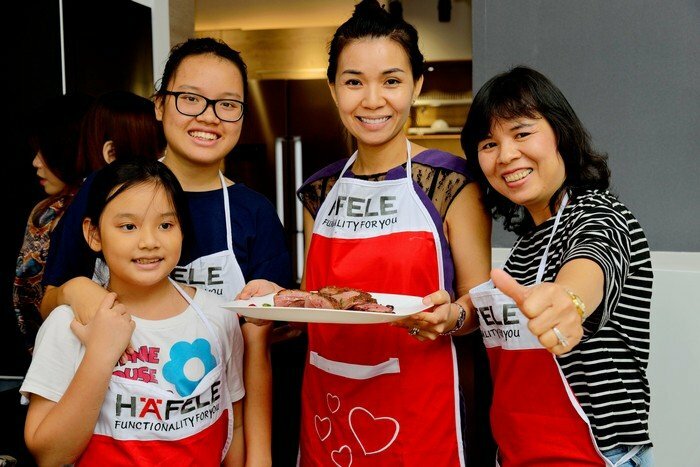 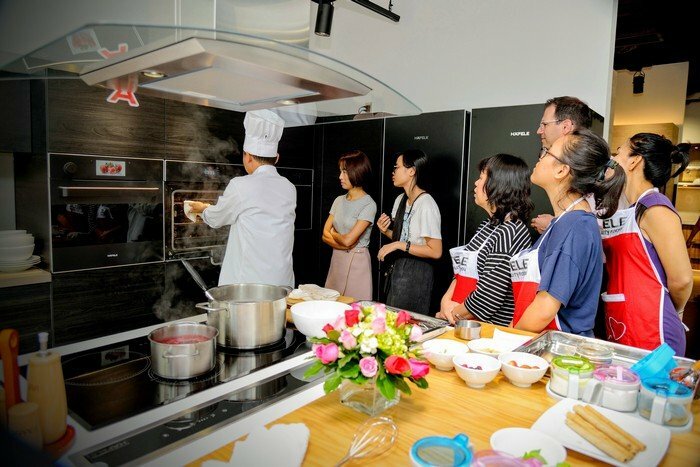 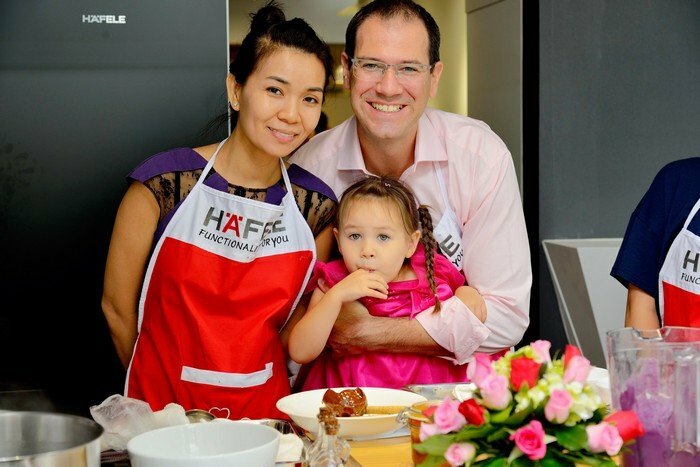 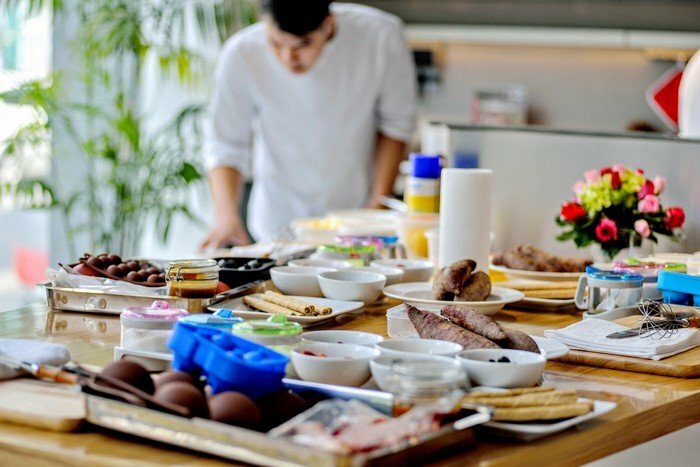 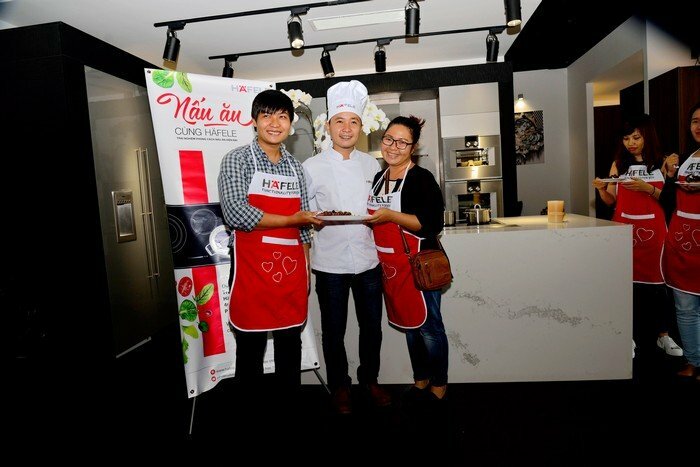 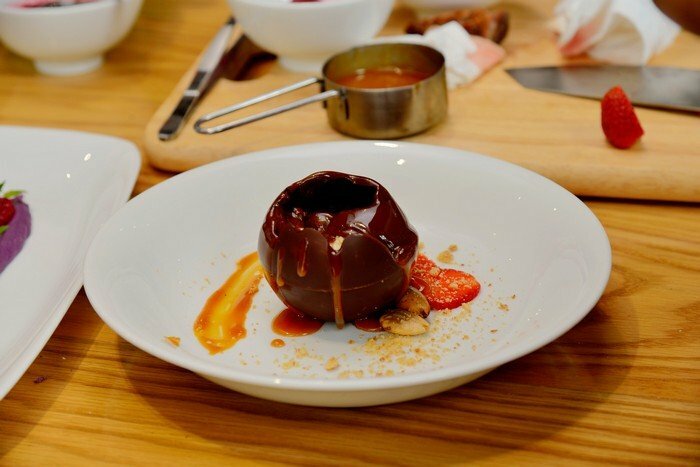 Following “Cooking with Häfele” class in August, the second class has successfully taken place at Häfele Design Centre in HCMC and became an interesting destination for “home chefs” on weekends. 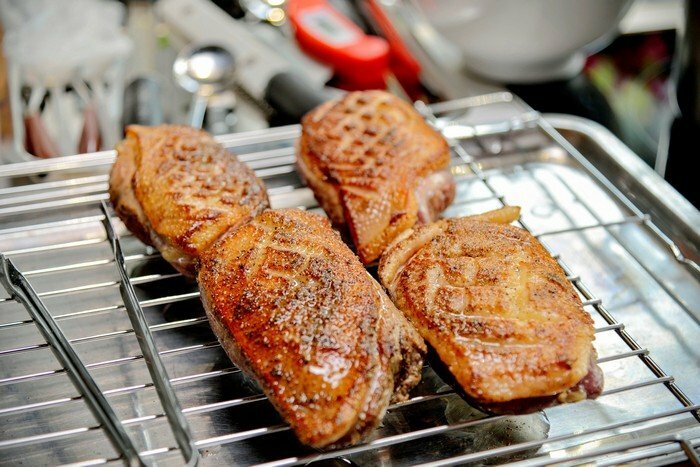 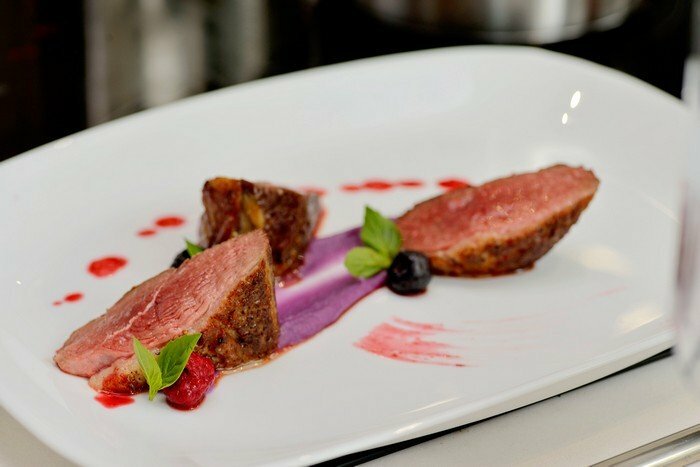 In this chilly weather and rainy season, “Roasted duck breast with cranberry sauce” and “Chocolate Bomb” are perfect dishes for a cosy family meal. 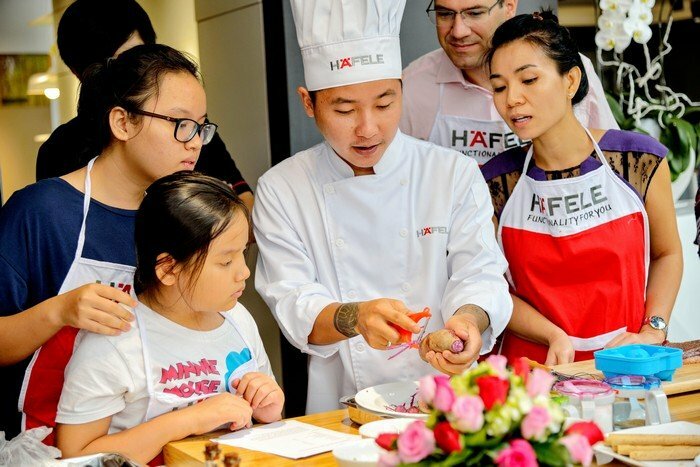 With Chef Steven Long’s help, 12 participating customers have had a memorable experience at the comfortable and modern kitchen of Häfele. 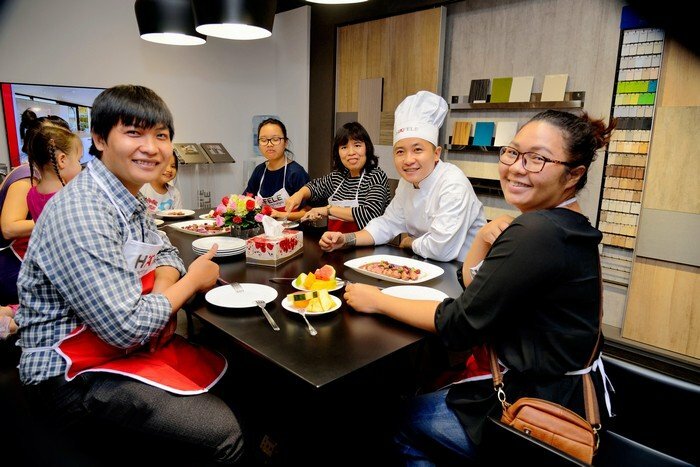 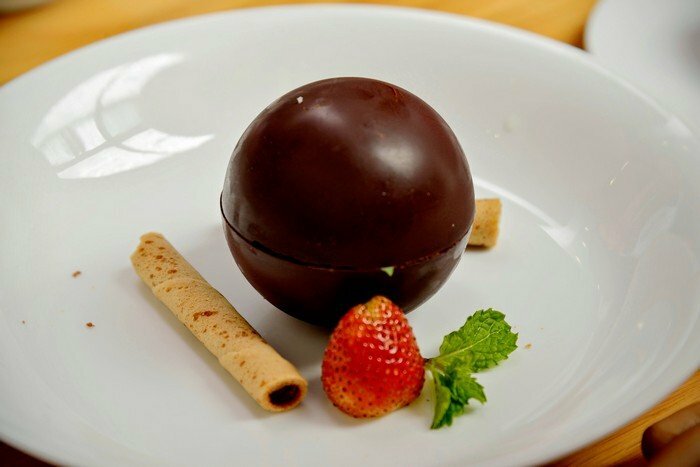 Hopefully through these classes, many “home chefs” will have the chance to learn more delicious and extraordinary dishes to complement their daily family meals, as well as a joyful and helpful experience sharing cooking tips with the veteran chef. 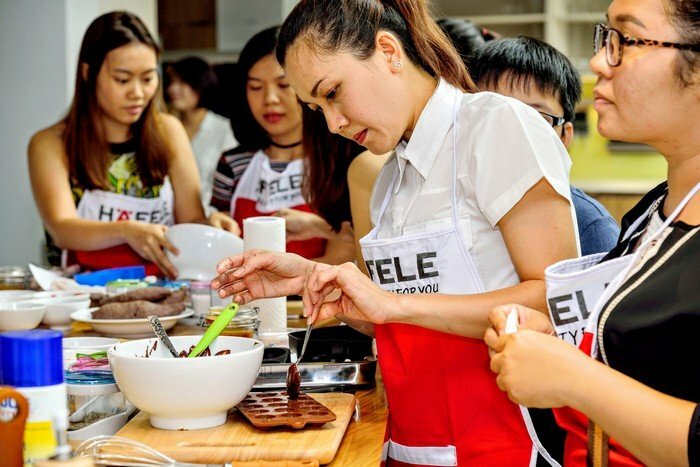 Let’s continue looking forward to the culinary journey in coming classes and don’t forget to follow Häfele Vietnam fanpage to get update and register for the class. 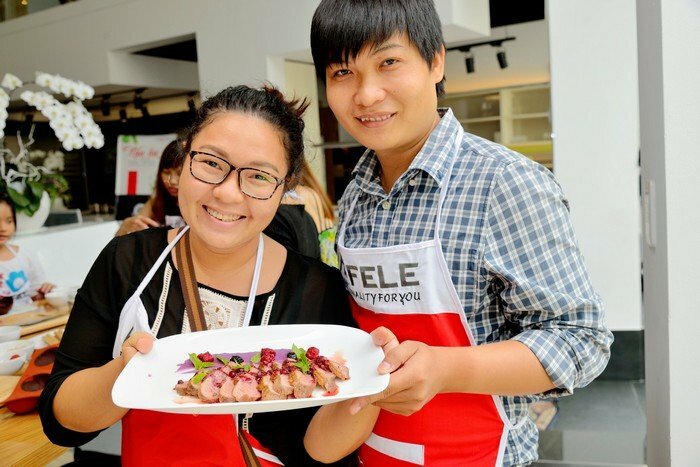 See you again in October at “Cooking with Häfele”!